The decorations are up, Christmas songs are on the radio and we are loving all the new Christmas adverts so we thought we should remind you about our Dinner Suit Hire Package for the 2017/2018 Festive Season. Our new Slim Fit Dinner Suit Hire Package at only £59.99 includes: Slim Fit Dinner Jacket & Trousers, Dress Shirt, Bow Tie, Cummerbund and Accidental Damage Waiver. Standard fit is also available. You can also add a pair of shiny black patent leather shoes just to complete your Cool Yule look! We know how busy you all are with family, friends and all important partying so to help you get the most out of your Vow Dinner suit you can have your suit for a bit longer than usual. All dinner suits hired from 12th December onwards don’t need to be returned until Saturday 6th January 2018. That means you can get a few wears out of your Vow suit if you’re lucky enough to be invited to more than one party! 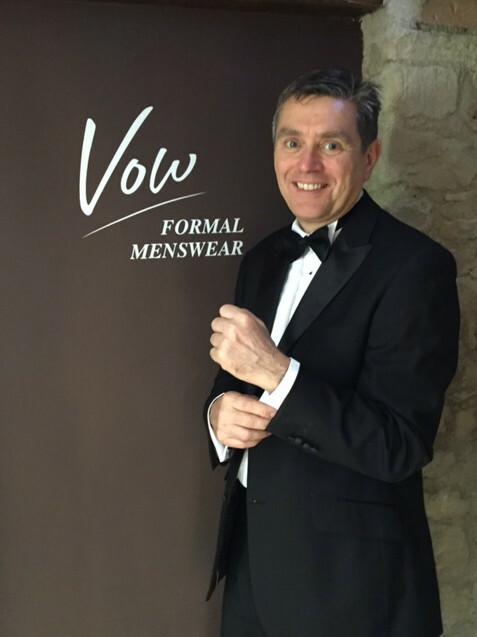 All appointments for hiring dinner suits for the festive period should be made before Sat 16th Dec.
No ‘Seven Year Itch’ for Vow! That was the year that was, 2016!